1. In a food processor or blender, process pecans and almonds until they are in fine little pieces. Mix together all other bottom layer ingredients until everything is mixed evenly. 2. Use a baking sheet to line a glass dish. Pat mixture in the dish and place in the freezer for 1 hour. 3. For the cream, process cashews, coconut butter, and coconut milk until creamy. Add the rest of the ingredients and mix. 4. Place cream on top of the base cookies layer and add your crushed chocolate. 5. Place back into the freezer and wait 1 hour until serving. And then as always, ENJOY!! 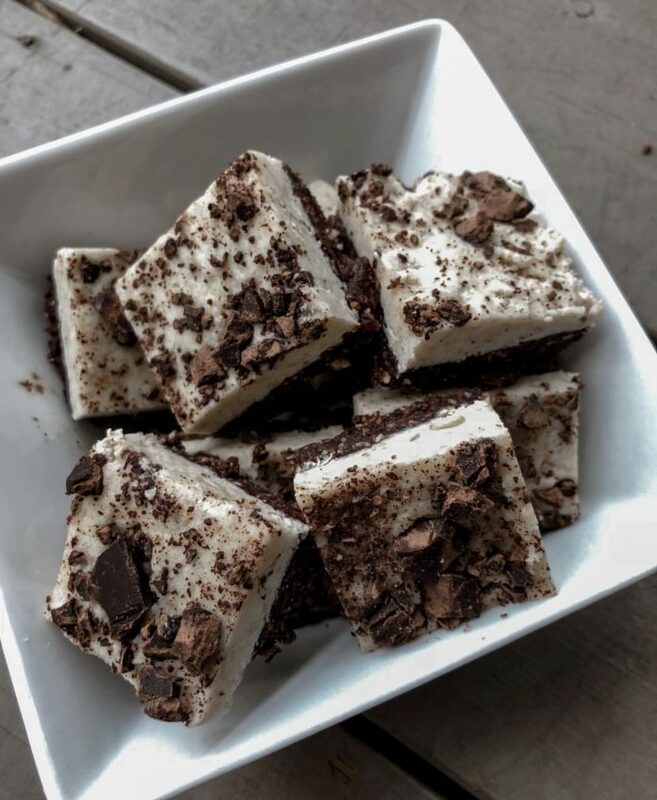 If you liked this recipe, click here for my Paleo Friendly Chocolate Coconut Bars. Next articleTop 5 Natural Flu Busters!